D'Addario Phosphor Bronze Acoustic Guitar Strings are acclaimed worldwide by professional and amateur players alike for their great, long-lasting string tone. 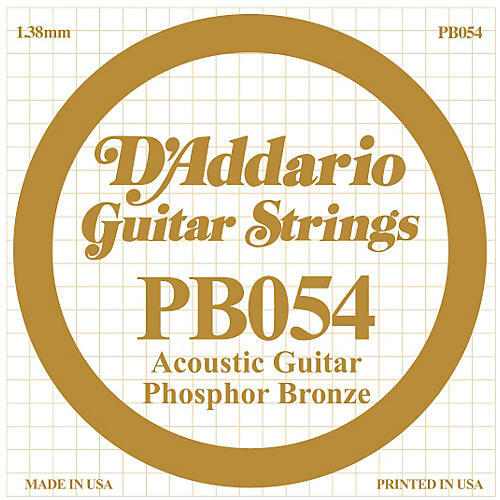 Phosphor bronze was introduced to stringmaking by D'Addario in 1974 and has become synonymous with excellent acoustic guitar tone, becoming the stage and studio choice of the world's top professionals. D'Addario Phosphor Bronze strings are the barometer by which all acoustic guitar strings are measured.